As educators and parents, we tell kids all the time to “be kind” or “use kind words.” I find myself asking my boys “was that kind?” and reminding them to be kind to one another. But what does that really mean? 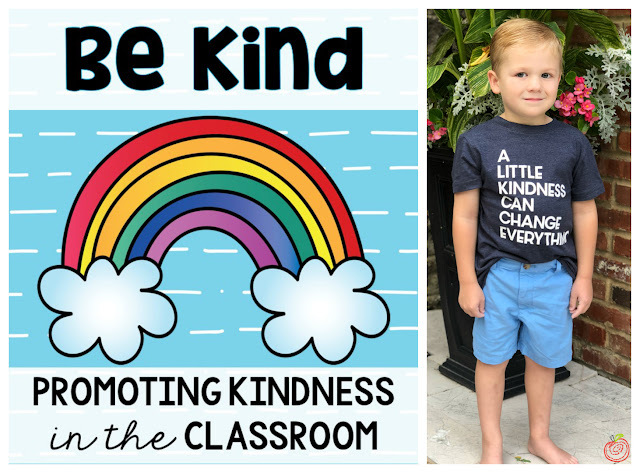 How can I expect them to truly understand kindness unless I teach them with real-life, concrete examples? 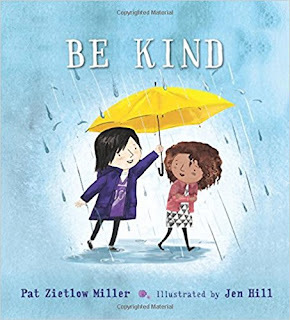 I discovered Pat Zietlow Miller’s book, “Be Kind,” a few weeks ago and fell in love the first time I read it. Her message is powerful and clear. 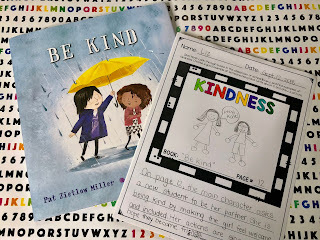 The illustrations are dynamite, and it’s the perfect read-aloud book for kicking off a lesson on kindness for elementary students. Since I love this book so much, I wanted to create some activities and printables that teachers can use to teach students about kindness. 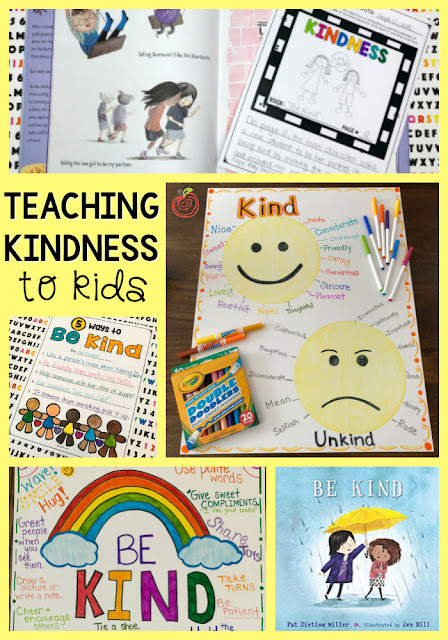 Have students look through picture books in the classroom and find examples of kindness in the text. 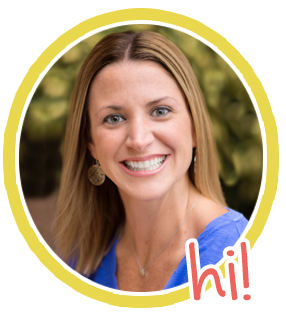 I’ve included discussion topics, writing prompts, kindness scenarios, and a meaningful homework assignment to get parents involved. 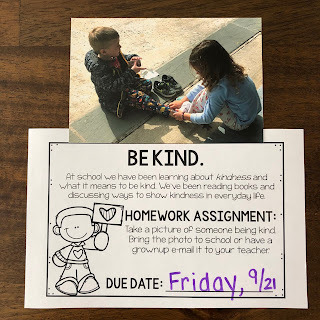 Homework: Take a picture of someone being kind. Bring the photo to school (or e-mail it to your teacher). 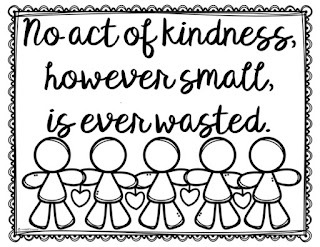 After collecting all of the photos, create a kindness bulletin board. I’ve also included some of my favorite read-alouds to promote kindness in the classroom. 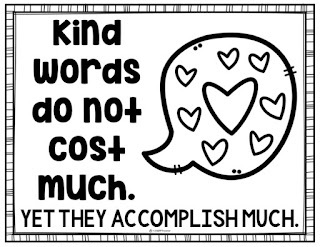 The best part is all of these printables are FREE in my TpT store. 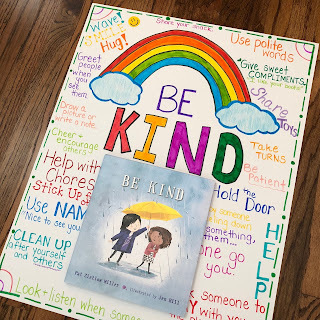 After reading Be Kind and a few other books on kindness, create kindness anchor charts with students to display in your classroom or hallway. 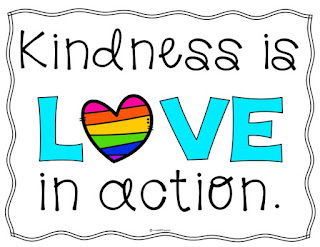 Want to create a kindness inspired bulletin board or decorate your classroom door with inspirational quotes? 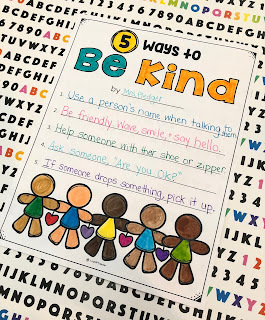 Check out these bright posters to encourage kindness all year long. 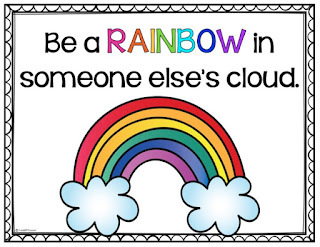 Print in color or print in black/white and have students color posters to create bulletin board. So bright and cheerful! This pool noodle rainbow makes me so happy!